Born in South Africa to a local Electromechanical Engineer father and a model/dietician mother from Regina, Saskatchewan, Canada. He was interested in programming when he was a young boy and even sold a Basic-based computer game that he made when he was only 12 years old. He became a Canadian citizen and went to Queens University in Ontario and later transferred to the University of Pennsylvania. When he was 24 he moved to California to start a PhD in applied physics and materials science at Stanford University but his entrepreneurial spirit got the best of him when he quit the program after only 2 days. Zip2 was Musk's first success as he turned a $28K loan from his father into a $22 million sale only a few years after starting the company. He used almost half of the money from that sale to start X.com an online financial services company. A year later X.com merged with Confinity which had a money transfer service called PayPal. They soon renamed the company PayPal which sold to Ebay only 3 years later for $1.5 billion, of which Musk received US$165 million. Soon afterward, in 2001 Musk started a space exploration company called SpaceX with a desire to send miniature greenhouses to Mars in hopes to one day colonize the red planet. He initially planned to buy refurbished ICBM's from Russia but when the price tag was too high, he decided to make them himself by starting SpaceX using $100 million from his PayPal sale. SpaceX has gone on to achieve greatness in the world of private space technology. In December of 2015, they successfully landed the first stage of the Falcon rocket back on its launch pad after it delivered its payload into Earths orbit and even on a drone ship in the ocean. He recently announced his plans to colonize Mars and the technology needed to do so. 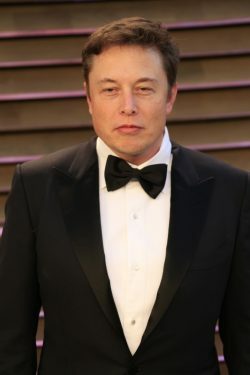 If that wasn't enough, in 2004, he helped fund a new electric vehicle company called Tesla Motors where he became the chairman to the board of directors and eventual CEO. He took an active role in the company overseeing production of its vehicles. The vehicles have been a huge success around the world. 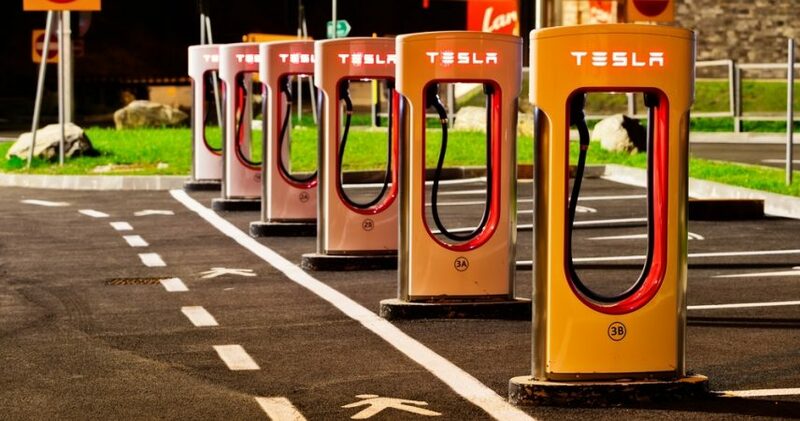 He even had Tesla charging stations installed all over the western world in order to increase the range of his vehicles. You can drive a Tesla vehicle across North America. 2017 should be an exciting year for Elon Musk. He will be a tech and business advisor to President Donald Trump. He will be launching a new solar panel shingle technology that he claims will power your home and your car and be comparably priced to traditional roofs. Tesla Motors will be launching a new affordable electric vehicle for the masses in the sub $30k range, called the Model 3. This could be the beginning of the end for traditional gas powered vehicles since he will now be competing with lower end consumers. Musk plans on sending an autonomous Tesla vehicle from Los Angeles to New York by the end of 2017. Other companies tried similar feats like Delphi's cross country road trip. Unlike Delphi, who stuck mostly to highways, an easy feat for modern autonomous vehicles, Musk's plan is for the vehicles to travel from door to door dropping its passengers off in the middle of Times Square before parking itself. This achievement will be sure to make headlines and likely help sell a lot more Tesla's. Their tech savvy consumer base will be sure to enjoy the ride as will we. Though we at Free Market Capitalism do not agree with any form of taxation, Musk appears to have a bias towards carbon taxation. However, Musk argues that the free market would achieve the "best solution" instead of government subsidies, and that producing environmentally unfriendly vehicles should come with its own consequences. He sees the value of the free market and how the government is not a good selector of success and we can fully back him there. We wish Elon Musk, Tesla Motors and SpaceX much success in 2017.